Australian golf fans made a foolish mistake in 2011 before the Presidents Cup. Many assumed the hard and fast Royal Melbourne and gusting spring winds would be too much for an American team raised on soft, green surfaces and golf seemingly played in a vacuum more often than not. The visitors went about learning the nuances early in the week and by the time whips were cracking late in the week, they looked as though they’d been playing on the Sandbelt all their lives. Flash forward three years and the underestimation of world-class Americans being able to adapt is again bringing some pundits undone. This time, it’s Jordan Spieth. And while nobody under-rates his skills as a Ryder Cup hero and world No.14, the Texan is not only proving adept at mastering one of our toughest tests, he actually wants it to get harder. 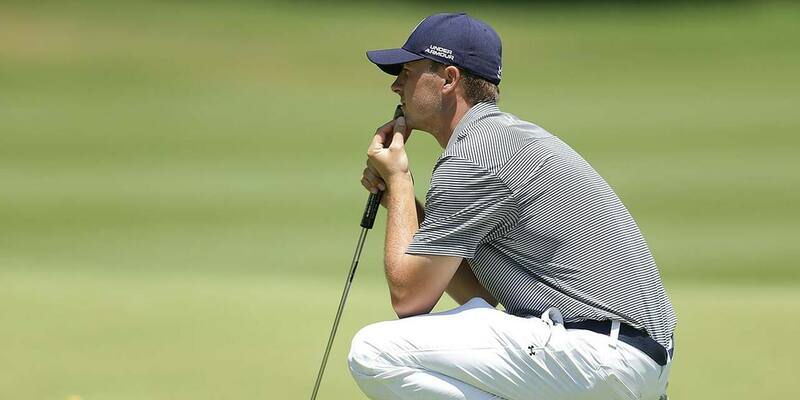 Spieth fired a two-under-par 69 today to return to the joint lead of the Emirates Australian Open. And while he acknowledged The Australian as a severe test as gusting north-easterly winds buffeted the course, he felt if the conditions were replicated tomorrow, he’d be right in the mix on the back nine. “It’s very challenging. It was a tough track today – almost every hole was a side wind,” Spieth said as he prepared for a final-group shootout with Greg Chalmers and Brett Rumford with Adam Scott just one shot adrift.